I am super excited about today's jasmere feature. 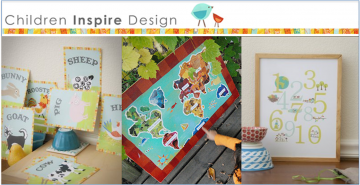 I know that I will be purchasing at least one voucher to Children Inspire Design. I especially like the alphabet wall cards! I am planning on (hopefully!) organizing and decorating the boys' rooms this winter, so this offering is perfect. So far the price is $18 for a $40 voucher, and the price will continue to drop with the more vouchers people buy. Plus, you're not billed until the sale is over (tomorrow at noon), and you'll always be billed the lowest price. Check out jasmere for more information.